Join Knewton and Beat The GMAT from January 19 to 25, 2011 for Daily Brutal Verbal Challenges, Prizes, Free GMAT Lessons, and an iPad Giveaway! Purchase a Knewton GMAT prep course for only $345 (that’s 50% off!) this week and get a chance to win a FREE iPAD! Bonus! You will automatically receive Beat The GMAT’s Practice Questions ($199 value). Note: Winner will receive a 16GB iPad with Wi-Fi, and will be randomly selected from students who enroll before Jan. 25 at 11:59pm EST. 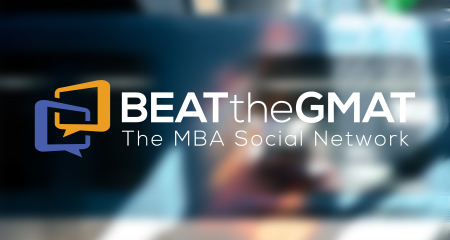 Adam Sticklor, Knewton GMAT Instructor Extraordinaire, will be publishing a daily brutal challenge on Beat The GMAT’s forums (January 19, 20, 21, 24, & 25). Post the best explanation of the day and you’ll get full access to the Beat The GMAT Practice Questions, free! Reply directly into the thread with your answer and your best explanation for how you solved the problem. Adam will choose a winner every day at 11pm EST. Winners will be announced directly in the forum thread post. Day 1 – Wednesday, January 19 Challenge – Congrats to Day 1 winner fitzgerald23! Day 2 – Thursday, January 20 Challenge – Congrats to Day 2 winner hja379! Day 3 – Friday, January 21 Challenge – Congrats to Day 3 winner aspirant_gmat! Day 4 – Monday, January 24 Challenge – Congrats to Day 4 winner stormier! Day 5 – Tuesday, January 25 Challenge – Congrats to Day 5 winner jaymw! Every week day (January 19, 20, 21, 24, 25), Knewton will publish a FREE video lesson on Beat The GMAT’s homepage as an article.